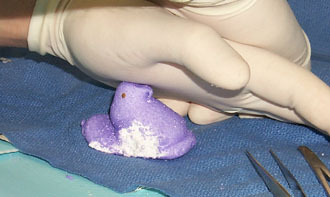 As the third Peep was separated, we were shocked to notice that no heartbeat could be detected. A "Code Purple" was called, and resuscitory efforts began immediately. 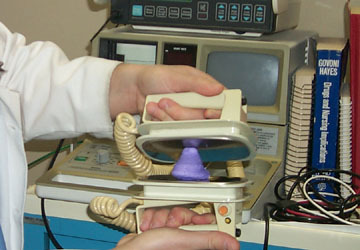 The patient was defibrillated with maximum possible voltage. "CLEAR!" Defibrillation failed to elicit a palpable pulse, so manual CPR was administered. 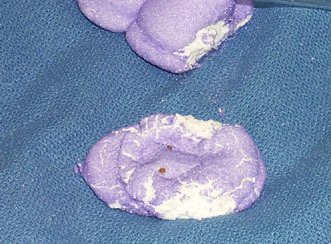 Unfortunately, due to Peep anatomy, isolating the chest for compression of the heart was not feasible. Full body compressions were applied until Dr. Jim got tired. Only after ceasing compressions did we realize that Peeps have no hearts, making our heroic efforts unnecessary.